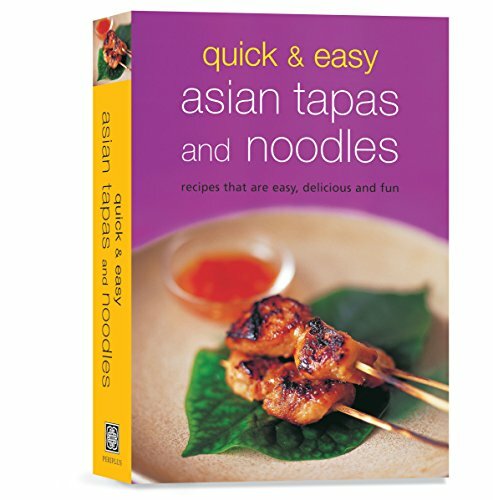 [PDF] Quick & Easy Asian Tapas and Noodles: Recipes that are Easy, Delicious and Fun (Learn to Cook Series) | Free eBooks Download - EBOOKEE! Description: For simple, easy-to-prepare meals, exciting appetizers for casual entertaining, or even summer picnic fare, nothing beats the spicy flavors of Quick & Easy Asian Tapas and Noodles. For a sumptuous family meal, you can prepare the perfect Thai Beef Noodle Soup, spicy Asam Laksa (a Malaysian favorite), or Chicken Satay (a popular Indonesian dish). Or you can treat yourself to exotic snacks like Thai Fish Cakes, Spicy Indian Lamb Patties or Malaysian Prawn Fritters. No comments for "[PDF] Quick & Easy Asian Tapas and Noodles: Recipes that are Easy, Delicious and Fun (Learn to Cook Series)".